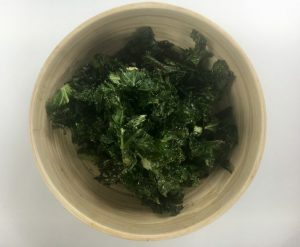 Homemade kale crisps taste a lot better than you probably think they do! It reminds me of the crispy seaweed we used to get with our Chinese takeaway as a kid (which was apparently cabbage and not seaweed! ).